FIU’s College of Law jumped 19 spots in U.S.News and World Report’s 2013 edition of Best Graduate Schools, from 132 to 113. The rankings place FIU College of Law in fourth place among Florida’s 11 law schools as the 3rd most diverse law school in the nation. 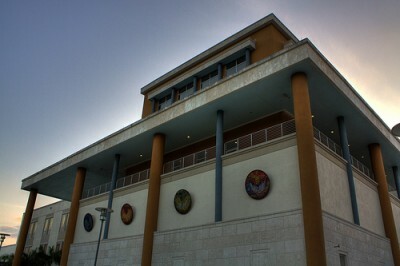 Since its doors opened in 2002, the FIU College of Law has graduated 792 students. In July 2011, FIU Law graduates ranked first in Florida Bar passage. Students from the college regularly excel in international competitions and, this year, won recognition in the American Association for Justice regional rounds, the Chester E. Bedell Competition, the ABA National Negotiation Competition and the Susan J. Ferrell Moot Court Competition. Recently, the student moot court team argued their final round before United Stated Supreme Court Justice Samuel Alito. U.S. News and World Report’s rankings of the nation’s 195 accredited law schools are based on a weighted average of 12 factors that include LSAT scores, bar passage rates and job placement after graduation. To access the complete list, click here. Good news for FIU. Keep up the terrific work!